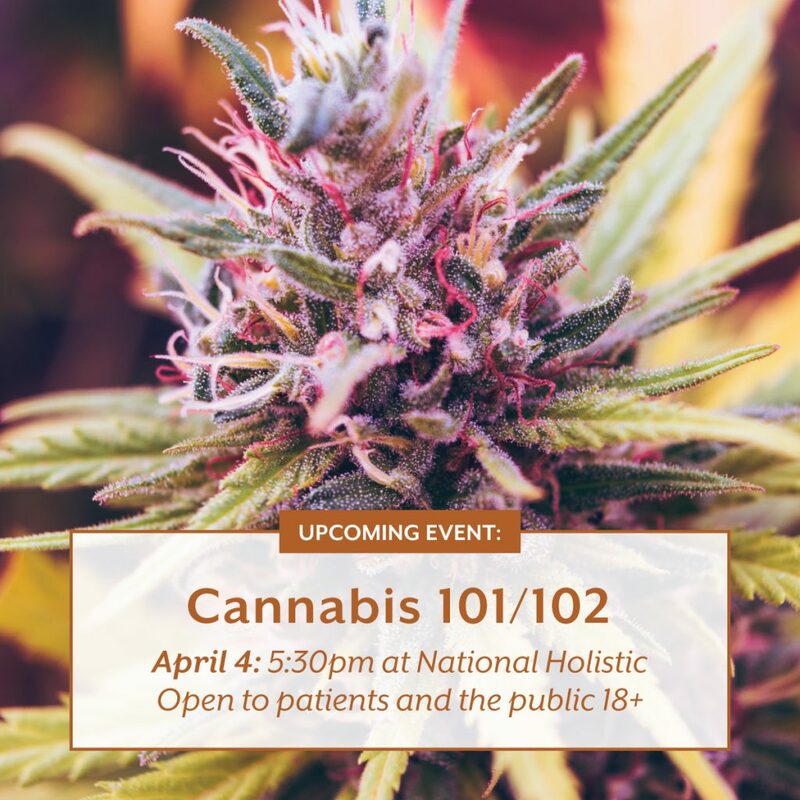 Join us this Thursday, April 4th at 5:30pm for a free Cannabis 101 and 102 class! Michael will go over the basics of cannabis to cover the "101" portion, discussing the different categories of strains, methods of consumption, flower composition, and the fast facts about terpenes and cannabinoids. Then, he'll dive into ailment-strain alignment and how to use specific strains to treat certain ailments during Cannabis 102. This class is open to patients and the public (18+). Hope to see you there!